Hackney Council’s Licensing Policy echoes the national legal requirements. It states that, when applying for a licence, venues should demonstrate how they will promote sensible drinking. As examples, section LP4 of the policy mentions “the display of safe drinking material or legal warnings” and “promotional events such as “happy hours” or special offers”. And section 19 of the licensing conditions adds requirements on measures used. For example, beer and cider need to be available in half pint glasses as well as pint glasses. The document contains little further guidance as to how promotion of sensible drinking could be achieved. Every council in England has similar conditions. Section LP4 does not seem enforceable in practice. In fact, of all the people we spoke to during this project (venues, customers, even licensing professionals), nobody could give a good definition of what “promoting sensible drinking” could mean in practice, beyond not serving people when they are already very drunk. Soft drink + snack meal deal. Order a non-alcoholic drink and get a healthy snack with it for free. Costs the same as a drink in a round, so you don’t feel cheated. Islington Council introduced a Late Night Levy in 2014. The levy is payable every year by all premises’ licence holders that are authorised to sell alcohol between the hours of 00:01 and 06:00. The licensees who can demonstrate good management and best practice arrangements get a 30% reduction of their levy. The scheme’s objectives are based on reducing crime and disorder rather than promoting sensible drinking as such, but it demonstrates that councils can experiment with new ways of challenging and rewarding licensed venues. We have found no examples of schemes that are targeting good practice beyond crime and disorder problems. As more councils consider introducing late night levy type schemes with good practice rewards, there is an opportunity to take a wider view to include other types of behaviour change as well, and look at how venues can develop and share good practice. National Institute for Health and Care Excellence (NICE) guidance document PH24 “Alcohol-use disorders: prevention” gives 12 recommendations for prevention of alcohol harms. Recommendations 1 to 3 relate to increasing the price, restricting the marketing for, and reducing the availability of alcohol. Recommendations 5 to 12 deal with interventions and treatments for individuals. Recommendation 4 is the only relevant one for this project, but although related to licensing, the detailed recommendations only cover “crime and related trauma”, and sales to under-age or “intoxicated” people. The Public Health Responsibility Deal, the Government programme of voluntary action by the industry was launched in 2011 (the programme’s current status is uncertain), and does include some activities that are relevant to this project. In particular, pledge A8(a), “Alcohol Unit Reduction”, includes activities such as greater marketing and promotion of lower ABV drinks and offering and promoting smaller measures (⅔ pints and smaller wine glasses) in pubs and bars. This pledge was signed by the British Beer and Pub Association, and by three businesses that operate licensed venues. An Institute of Alcohol Studies report from 2015 is very critical of most of the Responsibility Deal programme outcomes, based in part by limited implementation and evaluation of the pledges, as well as limited evidence of their effectiveness. An opportunity to change things from a public health perspective? Currently, objections to licensing applications can only be considered on four criteria: crime and disorder, public safety, public nuisance, and protection of children. In a recent Local Government Association survey, 90% of local council Directors of Public Health said that adding a public health objective to the Licensing Act would help them do their jobs more effectively. 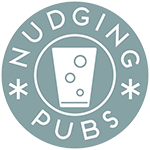 From our field work findings, we can say that pubs and bars would welcome more guidance on the requirement to promote sensible drinking. And of the venue managers we spoke to, all were at least cautiously positive about the possibility of a self-assessment tool to rate their performance in this. The existing licensing objective to promote sensible drinking could already provide an opportunity to test some activities to nudge venues. This could involve deploying behaviour change techniques, empowering venues through information and self-assessment, as well as allowing for peer and customer recognition. Our feasibility study tested this with a number of venues. There was appetite for something that felt less punitive than restrictive new licensing conditions, and that offered some element of reward as well. Gambling venues are required to provide information about sources of support for gambling problems. There is evidence of a positive impact of this type of intervention in this setting. Our small feasibility study on putting information stickers up in venue toilets had a less than positive response. None of the managers we spoke to actually refused to put the stickers up in their venue toilets, but none seemed very keen on the idea either. And our particular stickers were purposefully designed not to look like traditional public health information. They did not stay in place long (though the easy to remove ‘static’ design of them did not help). Whether venues would voluntarily keep such materials, no matter how attractively designed, in place in the longer term is unknown. Alternative, more robust, collateral, such as posters or adverts on electronic display screens, may prove more effective and durable. 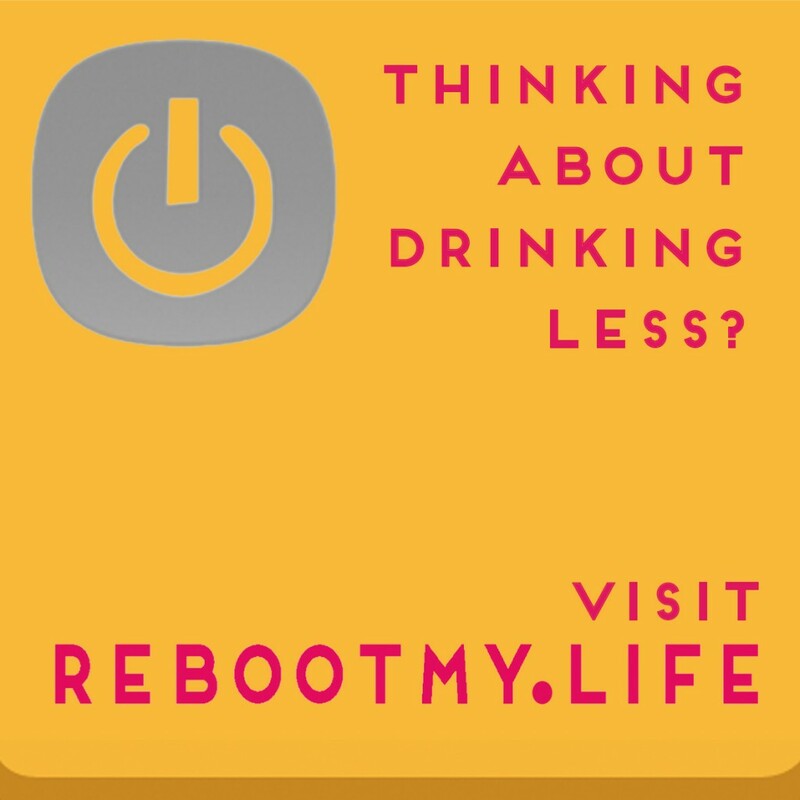 Even though the stickers were only seen by the public for a short time, the RebootMy.Life website did receive some visits, and those visitors spent some time looking at the information. The site was not promoted elsewhere and was hidden from search engines, so any visits could only come from people who had seen the stickers in a venue. There is also some research indicating that visible public health messages can in fact increase alcohol consumption. An alternative approach and more creative thinking to the signposting question is needed and is worth exploring further. There is scope for using venue licensing processes to influence how pubs and bars cater for people wanting to drink less or not all. There is an opportunity in the licensing application process, which may be worth exploring before adding new public health conditions. Displaying signposting information in venues has the potential to be good for customers, we need further work to see if this is the most effective method, and on how to encourage venues to participate. The review of licensing policy in Hackney is currently a hot topic, and there may be an opportunity to try some new initiatives in partnership with venues.